On October 24th, NSLI-Y Interactive hosted the first ever NSLI-Y Indonesian Alumni Webinar. 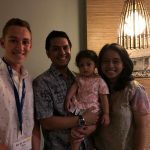 NSLI-Y had its first Indonesian summer program this year (2018) and alumni from the program shared about their program experience through pictures, stories, and reflections. We invite you to watch the recording of this special event if you would like to learn more about NSLI-Y Indonesian. Hello, my name is Aurelia and I’m from Spokane Valley Washington. I wanted to study Bahasa Indonesia so that I could learn more about Indonesia and its diverse culture, and because my grandpa was from Indonesia and learning Indonesian would allow me to connect more to my heritage. 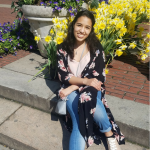 Now, I am a Junior at Ferris high school where I am involved in a variety of activities including Spanish Honor society where I am an officer. I have continued to teach Spanish at a retirement home as well. Recently I have done a presentation at my church about Indonesia to the younger kids and I was able to share my NSLI-Y experience with them. I have continued to study and practice Indonesian by staying in touch with my host family, teachers, and friends who I met in Indonesia as well as duo lingo and other language learning apps. 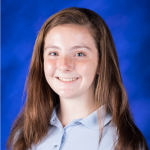 My name is Megan, and I am a day student at Perkiomen School. Perk attracts students from around the world, but I had never met anyone from Indonesia until I participated in the NSLI-Y summer program. Through NSLI-Y, I learned about a culture I wouldn’t have otherwise experienced. 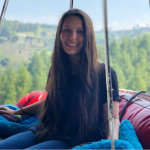 Now, I am a high school sophomore, and I continue to love learning about different cultures, languages, and perspectives. I am looking forward to my next adventure abroad! I’m Amina. I have lived in Boston, Massachusetts for most of my life. I decided on Bahasa Indonesia for the NSLI-Y program because some of my closest friends are Indonesian, so I wanted to learn more about their culture. Currently, I am studying Computer Science and Economics at Northeastern University. I also hope to go back to Indonesia either through study abroad or another language learning immersion program. Hi! My name is Sam, I’m from New Jersey and last summer I participated in the summer NSLI-Y program for Bahasa Indonesia. I’m 18 years old and have just started my first year at Dartmouth College. As far as my reason for choosing Indonesia, I have a couple of friends from Indonesia that had told me how friendly the people there are to foreigners. In addition, I really wanted somewhere tropical because my college has really long winters. Also, I love fruit and Indonesia (in my humble opinion) has the best selection of fruit in the world.